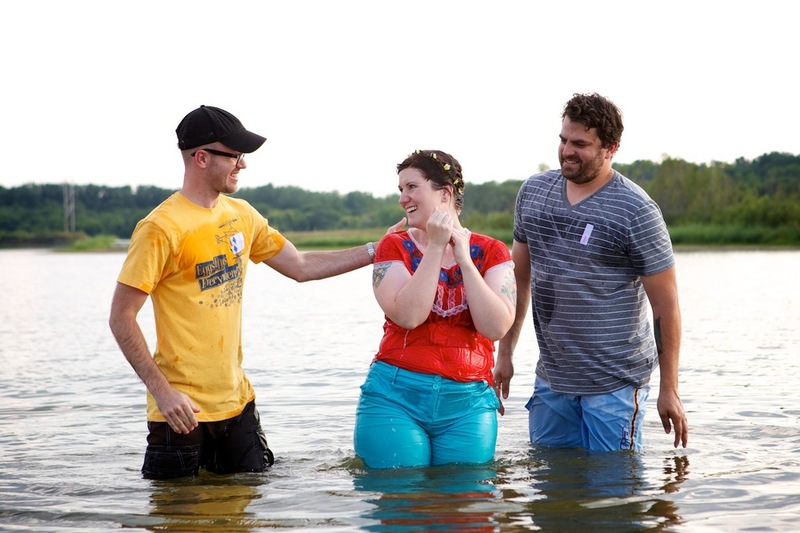 Throughout the history of the Christian Church, baptism has been one of the most universally accepted practices, almost always understood as being connected with the beginning of the Christian life. Baptism is a powerful symbol of our participation in Jesus’ life, death, and resurrection with the Church, to serve the world. It is a physical marker to remind us and all who are watching of our participation in the body of Christ. At Gateway, we participate in a believer’s baptism to publicly identify ourselves with Jesus in his death and resurrection. This is a sacred and beautiful opportunity to proclaim, “I believe the best possible way to live is the way of Jesus, and I am committed to following Christ—daily dying to myself and allowing the resurrected Christ to live in and through me.” It is a beautiful picture of our union with Christ and our declaring that we join him in the renewal of all things! It appears Jesus was baptized by immersion, "As soon as Jesus was baptized, he went up out of the water." Matthew 3v16. The symbolism around baptism is that of dying, being buried and being called back to life which fits going down into the water and coming up. In the historic tradition of the Church baptism involves a turning away from sin and a turning towards Jesus Christ. How can I be baptized at Gateway? Fill out the registration form below and make plans to attend the baptism class this Sunday, July 21st at 11:30am in the South Lobby. Our next baptismal service is on Sunday, August 4th at 4pm.